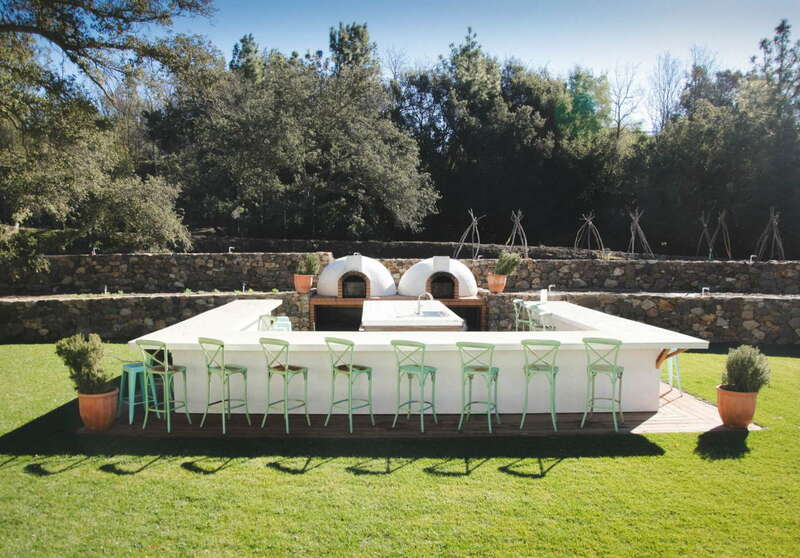 A truly one-of-a-kind property, the Calamigos Guest Ranch is a sprawling 200-acre estate that’s nestled into the quiet Santa Monica Mountains. This upscale and incredibly peaceful resort is home to LA staycationers, corporate retreaters, wedding parties and Hollywood production crews who use the majestic setting for film shoots. If you want to get out of the city and enjoy nature, the beach, the woods and be pampered at the same time, you can’t go wrong with a visit to this mountainous oasis. Dozens of rooms are divided up over the property and are broken into categories like cottages, bungalows and estate rooms. Many of the private cottages have outdoor showers and terraces with luscious king beds, sleeping kits and complimentary bottles of Calamigos wine. If you book an estate room, you’ll get your own private pool, while 2-bedroom bungalows include living rooms and soaking tubs (mini private pools). Depending on your room type, you may have an indoor or outdoor rain shower, giant bathtub and marble finishes. 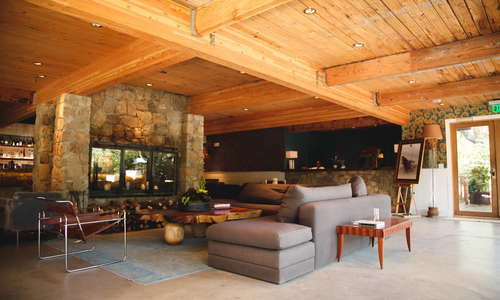 The open-to-the-elements lobby centers around a giant wood-burning fireplace. 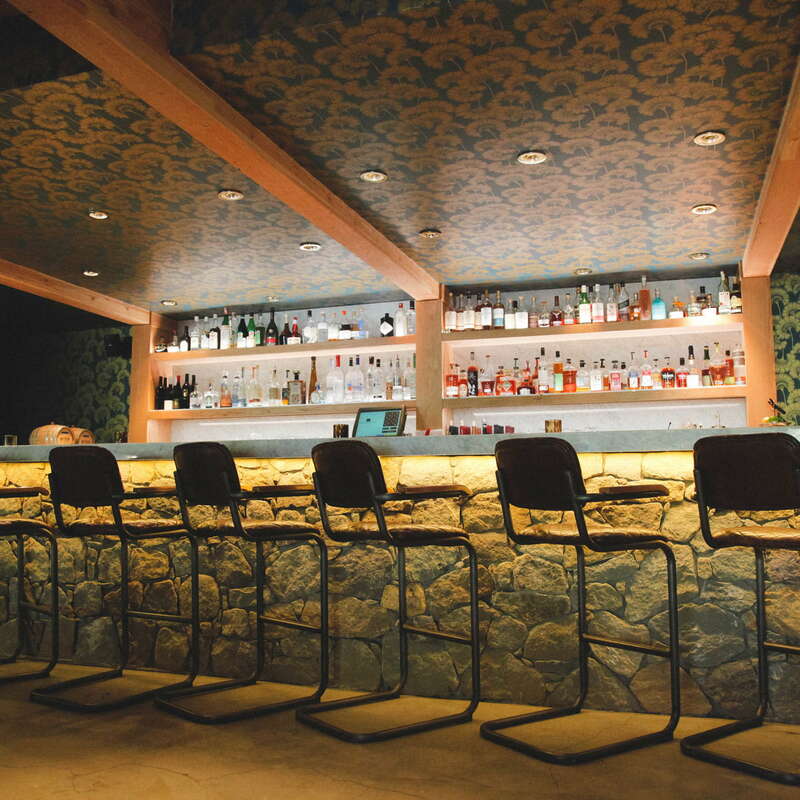 The welcoming space has big wood beam ceilings, comfy suede and leather couches, a grand piano and Leo’s Lobby bar (which opens to guests and locals at 3pm). 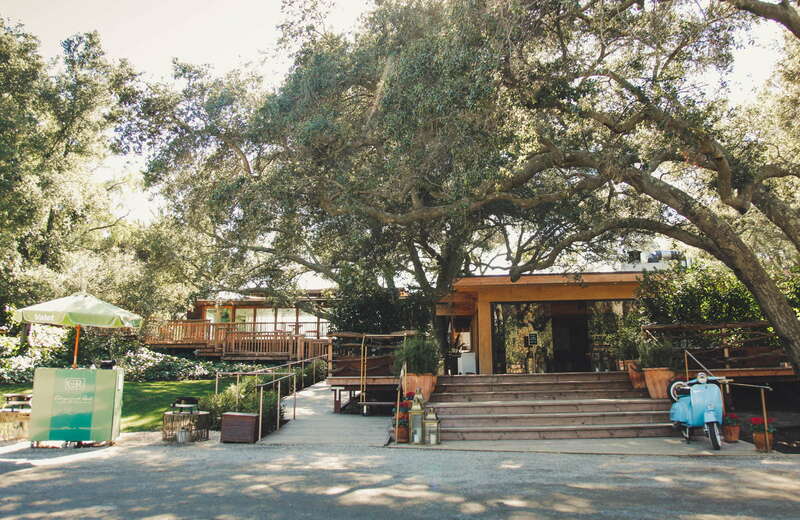 YOU SHOULD KNOW The Ranch hosts upward of 500 weddings a year. 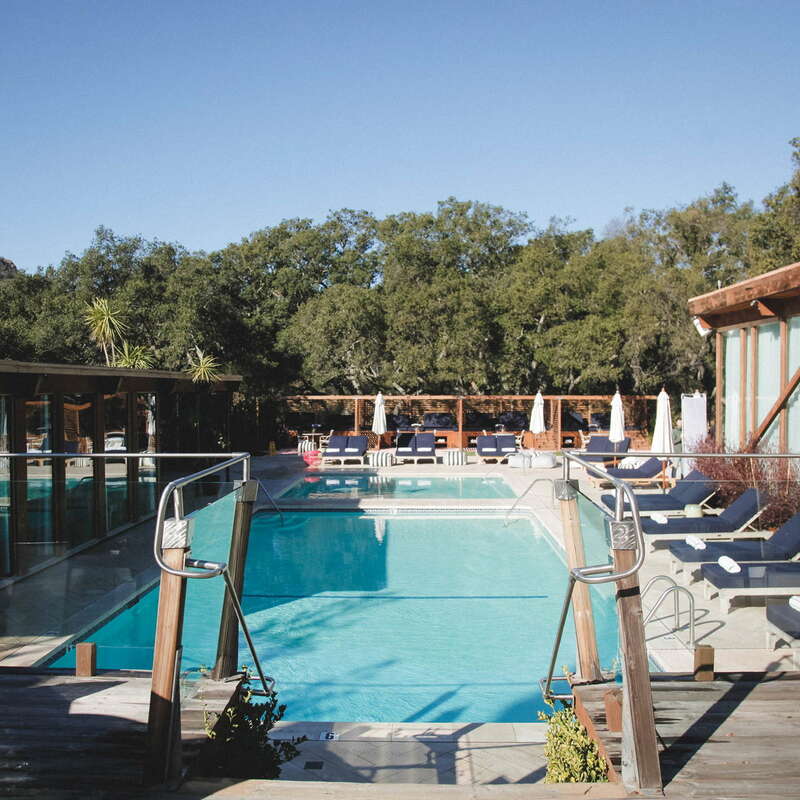 The wedding venues are separated from the rest of the resort, but you might be comingling with the wedding parties at the Ranch’s pools, gyms, spa and restaurants, and this might be annoying to you. There are actually three different pools at the ranch. The Estate Rooms have their own private pool. The pool next to the fitness center is a great spot for doing laps. Finally, by the bungalows is a third pool with a large Jacuzzi and a full food and beverage program. The Wellfit center has massage therapy rooms and guests can book hair/nail appointments and facials. There are two enormous gyms on the property. The first is filled with cardio equipment and free weights, while the second is a Pilates studio with spin bikes and a heavy bag for boxers. There are numerous dining options at the ranch. Guests receive complimentary breakfast at the Lobby Bar. The Country Kitchen Bar has a great Sunday brunch and live music. And the Malibu Café is an outdoor area that’s great for family lunches, holiday parties and fun barbecues. 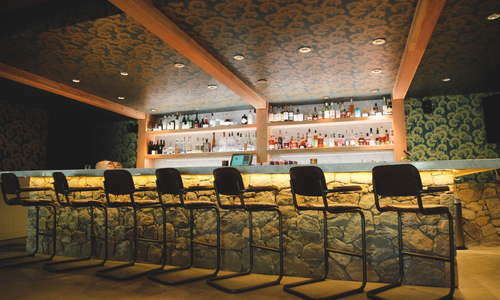 Leo’s Lobby Bar opens at 3pm and serves dinner and drinks to guests and locals. It’s not a rocking scene, but there is live music on Saturday nights. 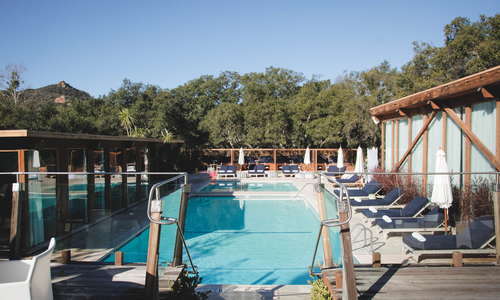 One of the best perks of staying at the ranch is their exclusive beach club. A complimentary shuttle takes guests down the road where they can post up for the day, get private paddleboard lessons, shoot pool, play shuffleboard and chow down on beachy buffet items. Access to the beach is via a private tunnel under the Pacific Coast Highway. YOU SHOULD KNOW There’s a $45 daily fee for the club, but this comes with food, wine, beer, beach chairs, umbrellas, snorkel equipment and basically anything else you might want or need for a day at the beach. Getting to the ranch takes you on a long, winding road through the Santa Monica Mountains. When you come to this resort, the goal is to stay here for eating, drinking, working out and everything else. If you do want to get around, we’d recommend renting a car (or picking a different hotel). Because of its secluded location, there aren’t many options outside of the hotel within walking distance. If you head down to the beach, try The Sunset Restaurant (11-minute drive) for incredible views and California cuisine. Paradise Cove Beach Café (12-minute drive) is a famous spot for tropical sips and American fare. 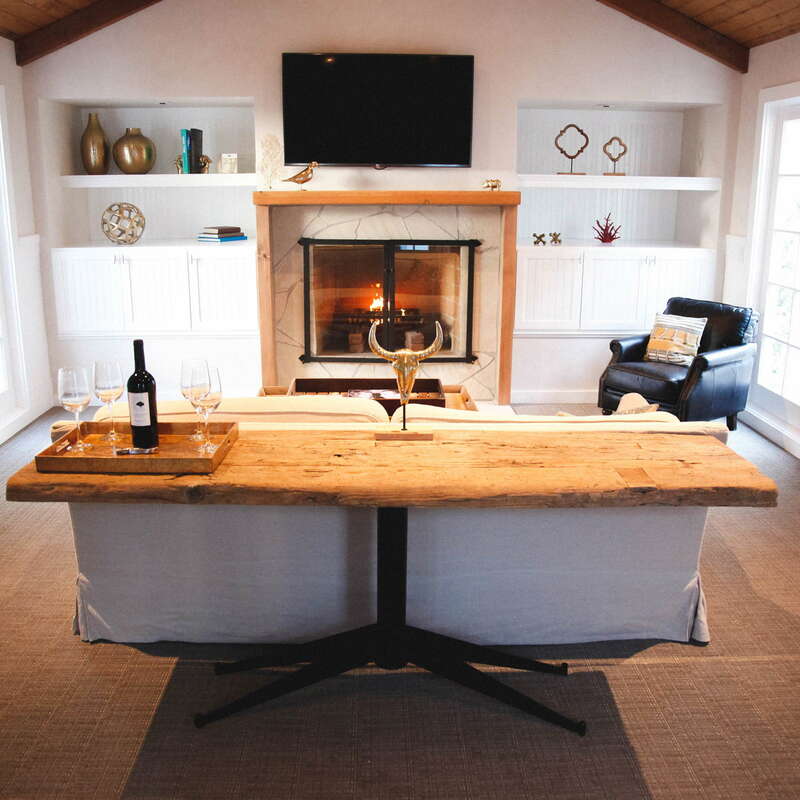 One of the only places you can walk to is Malibu Wines (13-minute walk), which has sumptuous tastings to go along with live music on Saturday and Sunday nights. 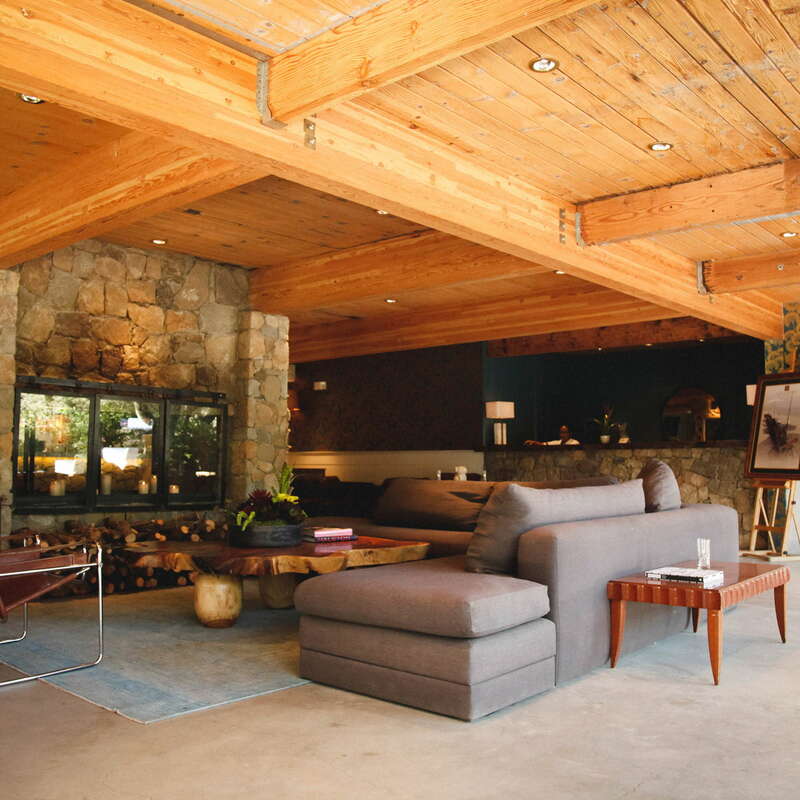 The Ranch is the perfect getaway from the busy streets of Los Angeles. Whether you’re here for a wedding, just want a staycation with your significant other or family or love breathing mountain and beach air, you can’t go wrong here. The resort isn’t close to any shops, restaurants or bars--but that’s sort of the point. An exclusive beach club isn’t cheap, but the amenities are worth the price. 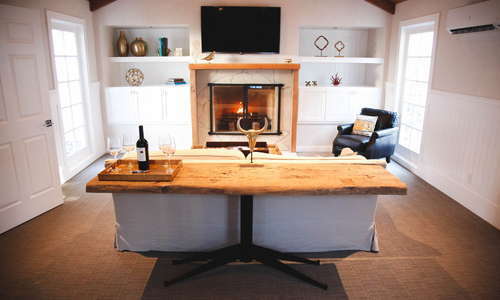 In short, the hotel is stunning, peaceful and offers guests a refined level of service. Staying here will make you forget about life in the big city, and its secluded location gives you every opportunity to relax.